Use the Export link over the list of Signups. Teamup now includes the capability to export signups for all events. You can find this option in the calendar Settings. Since this feature is not frequently needed, it is a bit hidden. Go to Settings > Export Events. 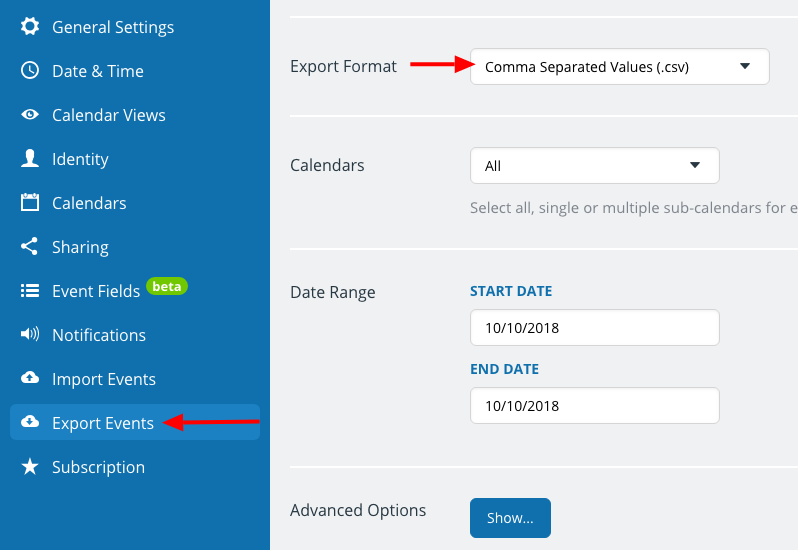 In the Export Format, choose Comma Separated Values (.csv). You can choose the calendars and date ranges you want to include. Scroll to Advanced Options and click Show. 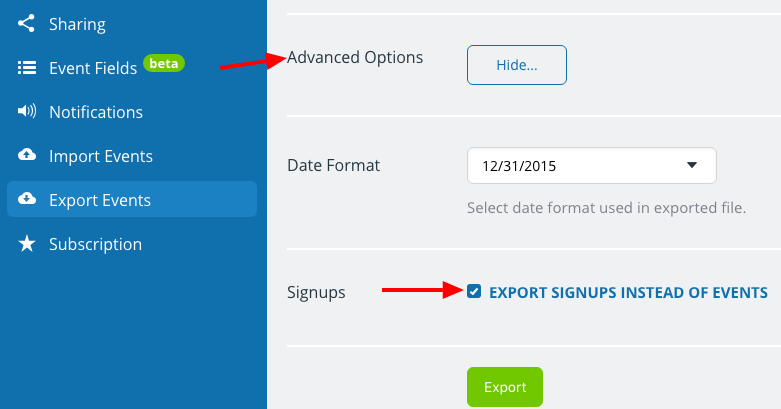 Check the box to Export signups instead of events. Choose the calendars and date range as desired, then click Export. 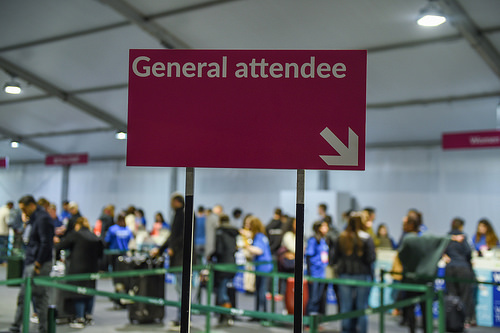 Header photo by Web Summit Flickr via Compfight cc.